Color/Appearance: Heartwood generally medium brown, sometimes with an orange cast. Pale yellow to gray sapwood is sharply demarcated from heartwood. Nearly always seen in burl form. Allergies/Toxicity: Besides the standard health risks associated with any type of wood dust, no further health reactions have been associated with Brown Mallee, though several other species within the Eucalyptus genus have been reported to cause various allergic reactions. See the articles Wood Allergies and Toxicity and Wood Dust Safety for more information. Pricing/Availability: Generally available in burl caps and sawn burl blocks. 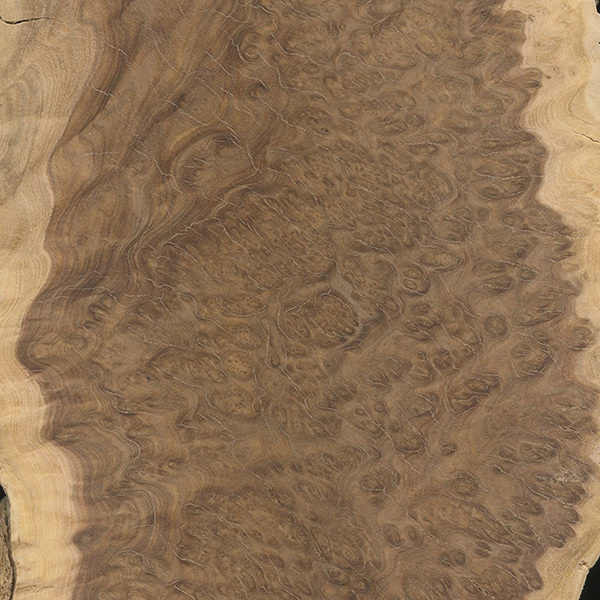 Prices are high: on par with other imported solid-wood burl products. As opposed to Red Mallee, the appellation Brown Mallee doesn’t refer to a specific tree of the same name, but rather describes burl pieces from various Eucalyptus species where the wood itself is brown in color.